The man unhurriedly finished pouring his cup of tea, then returned his gaze to some distant point beyond the cafe window. Outside, the winter rain continued to pour down in heavy drops, as if it had no intention of ever stopping. The man had been sitting inside the cafe for quite a while now, as it seemed that even the last lingering customers had left some time ago. Perhaps he was the only customer remaining in the place. Occasionally, the man would give a quick glance to his wristwatch, then return to his next sip of tea. Startled from his reverie, the man immediately stood up and apologetically asked for his bill. “It’s almost the Lunar New Year. Don’t you have any plans to go to Cali or to celebrate the New Year at home with your family? The man smiled, affected by the young girl’s wit and enthusiasm. Twenty-seven years ago, late on a rainy night such as this – if I’m not mistaken, it was about 1 o’clock in the early morning – when the phone rang loudly in my house. I awoke with alarm – fearing that only bad news could come from the other end of a call that came at that strange hour. I ran downstairs quickly to pick up the phone in an attempt to save the rest of the household and their sleep from further disruption. There were no cell phones back then. “Is that you, Phan? It’s Doa …” I was in a state of shock – my heart felt as if it would pound out of my chest. After that, we corresponded regularly. It was a few years after we had graduated from high school that Diem Doa moved to France with her family and I came to America. For a brief period, we lost contact with one another. Until this day, I still don’t know how Diem Doa got ahold of my phone number at that time. We continued to correspond and dream about our future together during the years from 1992 to 1994. 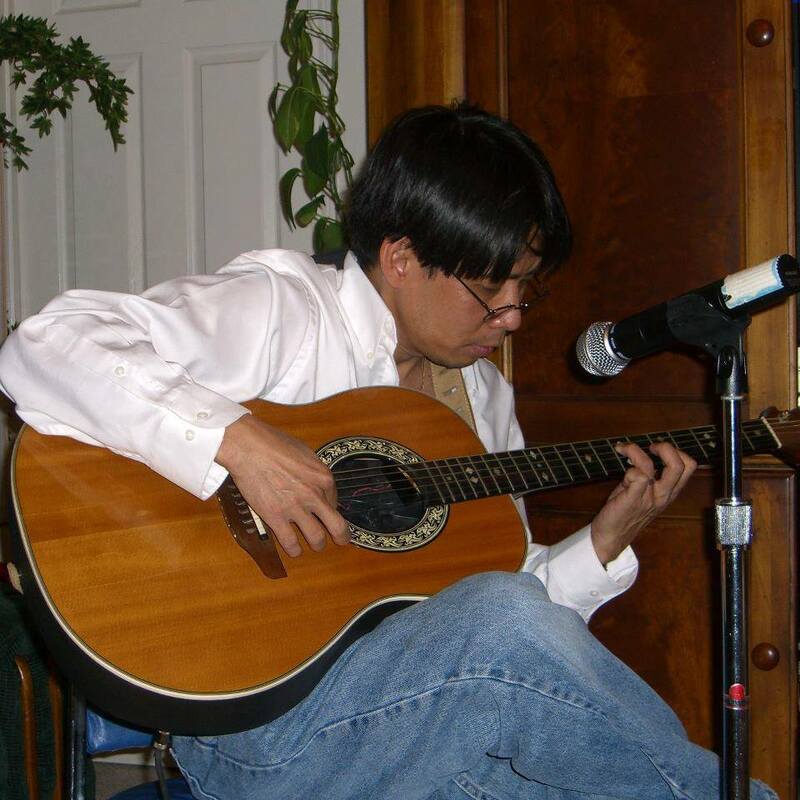 “Phan, I don’t think I will ever be able to see you again …” then the line abruptly went dead. That was the last time that I ever heard her voice. Her family has no idea where she went. Many of my friends and family in France have also aided in the search for Doa. But almost thirty years later, there has not been one scrap of news about her. When we were in school, Diem Doa had a best friend, Kim Minh, who also became my best friend. We were an inseparable trio with similar likes and interests. 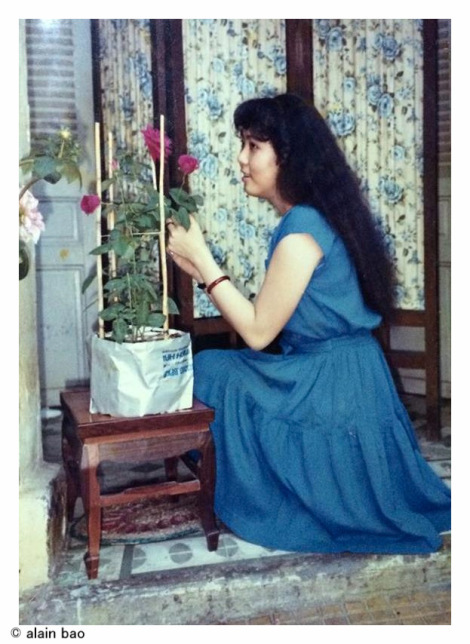 Kim Minh has tirelessly looked for Diem Doa over the years, even flying to France in search of information. It was tonight, when I saw a Facebook post of Kim Minh, wearing the traditional Vietnamese ao dai during the Tet Festival, that memories of Diem Doa returned to me. I called Kim Minh to wish her a Happy New Year, and of course we ended up reminiscing about our lost friend and our happy times together as the inseparable trio. To this day, we still have no clue if Diem Doa is still alive, or if she is waiting for us on the other side. We are much older now, and we feel life much more deeply. The older one gets, the more one tends to return to the beauty and peace of the past, of the dream-filled days of youth. The man then stepped outside and hurried across the street.